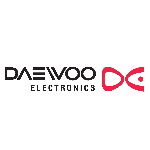 We sell spare parts for the Daewoo range of commercial (catering) microwave ovens. Shop for quality microwave parts online. Daewoo commercial microwave oven spare parts, Daewoo microwave spares including Daewoo stirrer cover, Daewoo commercial magnetron, Daewoo ceramic base, Daewoo door latch, Daewoo high voltage transformer, Daewoo microwave parts, Daewoo microwave air filter, Daewoo door switches, Daewoo stirrer motor antenna. Alternatively Daewoo commercial specific spare parts are all listed below, the applicable model number is in the description for each item.